It’s the Honda Indy Grand Prix weekend and we are getting revved up! This is an all weekend event that includes an art exhibit, a 5k, and racing! It’s also Vulcan Drink & Drop week! There are also SO MANY FOOD EVENTS!!! Check out all the details below! 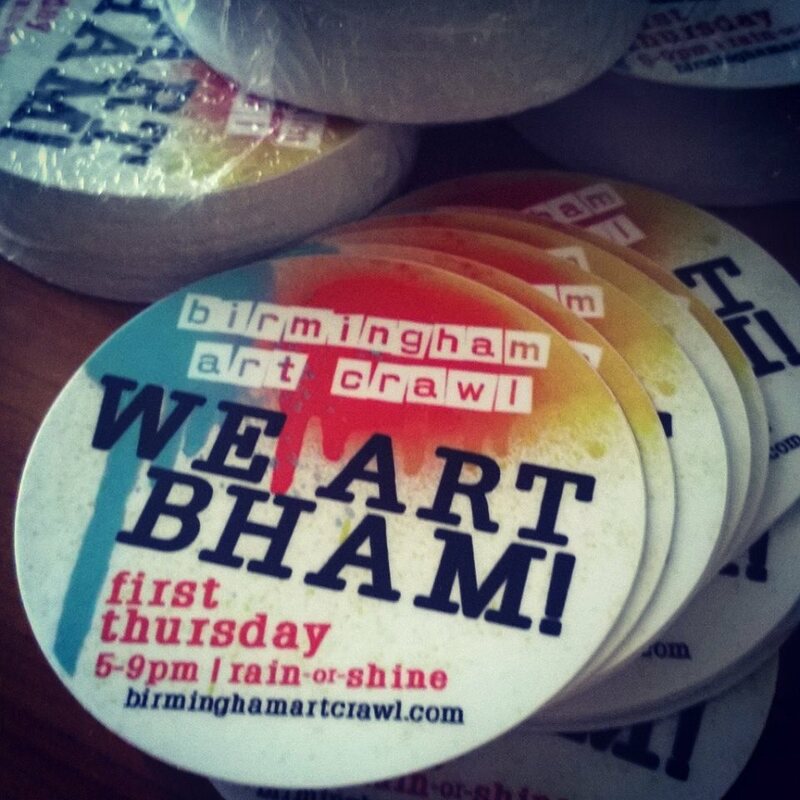 Join the Art Crawl every first Thursday in downtown Birmingham! Stroll the sidewalks of #BHM during the April 4th Art Crawl and discover the amazing talent of local artists and makers while they exhibit and sell works outside of The Pizitz from 5-9 p.m., rain, shine, or pollen! Be sure to pick up some tasty food from the Food Hall during your visit! As always, covered parking is FREE for 2hrs in the Pizitz deck! RESCHEDULED to 4/11 Head to Vulcan Park and watch as teams drop contraptions off of the tower while trying to protect a raw egg! There will be a band, Ghost Train and Interstellar beer, and Eugene’s Hot Chicken! Your admission includes a drink ticket! Come have a great time and watch some eggs go SPLAT!!! The rain date is 4/11. Stay tuned for updates. Redemptive has been riding EVERY Thursday for 5 YEARS straight! They're going to be popping bottles & celebrating the only way they know how - with an EPIC Trample! Broad Street Peaux Boys will be serving up deliciousness! Come HUNGRY & nosh on their amazing offerings. They'll have $5 keg cups for sale - biodegradable cups that you keep the whole night & can fill up as much as you want! Cash or card accepted. ID Required. Festivities in the alley & shop post ride. Envision a really fun 5th Birthday party and then come ready to celebrate! Friday, 5:30-10:30pm: The INDY 5K will allow spectators to run and experience the world-renowned Barber Motorsports Park track like never before! A portion of the proceeds will benefit Children's of Alabama. Sat-Sun, 10am-5pm: This new, art-driven feature at the race will showcase exhibition booths for up to 30 talented artists and makers from the region at one of Birmingham's most recognized, world class venues, the Barber Motorsports Museum & Park. Sunday, 3pm: The MAIN EVENT!!! Join us for the final Art After 5 of the season! This month, BMA is joining forces with the Birmingham Public Library's Bards and Brews for a night of art making, poetry, and beer tasting! Come on out to hear spoken word from some of Birmingham’s best poets while enjoying some local craft beer tastings. Create your own poetry-inspired zine and take a special brew-inspired tour of the galleries. Don’t miss this last Art After 5! See you there! This is one of out favorite Arc Stories and it's outside in the beautiful Birmingham Botanical Gardens! Enjoy a nice spring night as you hear people, just like yourselves, tell their own personal stories. The theme is Roots: Stories About the Nature of the South. There will also be concessions, so bring your chairs and blankets and prepare to be entertained in the same way our ancestors were, through the power of storytelling! Join the UAB's Alys Stephens Center JPats for their final ARTasting for this season on Friday, April 5. Explore Birmingham's best in art, food, and drink at this signature event as you join the Alys Stephens Center in celebrating IndiaFest, a celebration of Indian arts & culture. Sample cocktails, enjoy food, and see some performances! You don’t want to miss it! IT’S BACK!!! 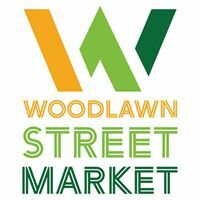 The Woodlawn Street Market is an urban street market, in the heart of Historic Woodlawn. Entering their 6th market season, patrons can expect merchants selling produce, goods, on-site prepared foods and retailers. The market offers Birminghamians a gathering place – a locale for taking in an amazing meal, enjoying live entertainment or picking up a few inspiring pieces to add to their collection. The Mt Laurel Spring Festival, now in its 19th year, has continually grown to be a premier family event. Visitors will enjoy shopping at the many artisan and farmer pop-up booths; watching live music on the Bryson Square Stage; and savoring delicious eats at Mt Laurel restaurants and Birmingham food trucks. Pro Tip! : Get there early to get good parking! Make plans to attend this fun-filled, family-friendly event featuring a Cajun cooking competition as well as live music in Birmingham’s beautiful Railroad Park. Enjoy taste-testing all your Cajun favorites including gumbo, etouffee, jambalaya, beignets and more! Your vote will help determine the winner of the cook-off competition. They’ll also have fun activities for kids including face painting, a balloon artist and games! 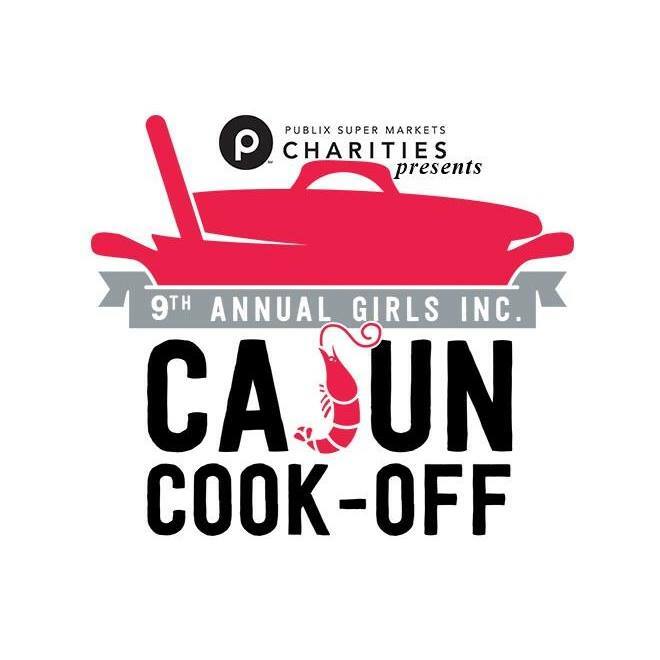 All funds raised by the Cajun Cook-off will benefit Girls Inc. of Central Alabama programs that inspire local girls to be strong, smart, and bold! Mitchell's Place Junior Council and Autism Society of Alabama are excited to host the 2019 Funky Fish Fry at Avondale Brewery. In addition to delicious fried fish, you can enjoy music from Todd Simpson and Mojo Child! There will also be a kids zone with inflatables and lots of fun activities! Are you looking for things to do in Birmingham to benefit a good cause? This kid friendly, family fun event in Birmingham at Cahaba Brewing Company is THE Barbecue cook off of the season with proceeds benefiting Breast Cancer Research Foundation of Alabama! Make sure to come hungry! Join McWane as they celebrate New Beer’s Eve and the local breweries that have been a catalyst in Alabama’s economic and cultural renaissance. Discover the science behind your favorite local beers from Cahaba Brewing Company, Ghost Train Brewing Co., and Interstellar Ginger Beer and Exploration Co., just to name a few! Learn how to brew at home, try your luck at trivia, and make a bottle cap keychain. The night will include food trucks, DJ Kamál Akeem, and beer served with a pint of science. It's the 2nd annual Crawfish boil with Craw Daddy Dave's - Crawfish and Seafood Boils at Little Savannah in Forest Park! There will be live music all day, tents and chairs set up, and servers for drink orders! Admission is just $10, $25 gets you a plate of crawfish, and $40 gets you ALL YOU CAN EAT!!! Don't miss out! Join Lavish PR and Marketing and media partners, iHeart Radio for the FREE “First Sunday Food Truck Festival Tour” this Spring, Summer, and Fall! Stop 1- Bessemer, Al at Debardeleben Park!! Indulge a variety of tasty dishes from your favorite food trucks from across Central Alabama and enjoy bounce houses courtesy of Birmingham Bounce Bros and live entertainment!! PLUS the best part....FREE ADMISSION!! Get Healthy on the Railroad: Cooking Class! Representatives from Jones Valley Teaching Farm and Urban Ministry will offer cooking demonstrations and food tastings, complete with take-home recipes. The first 100 attendees to register receive a parcel of free produce sourced through Piggly Wiggly, with the chance to recreate each recipe at home. At select classes, Project Yummy, the Junior League of Birmingham's Mobile Teaching Kitchen, will be onsite to encourage healthy eating and basic cooking skills for children.